Are you having trouble accepting something in your life? Maybe you’re struggling to accept a situation, a person or some aspect of yourself. Whatever it is, this simple, 3-step exercise in acceptance will help you feel better fast. If you’re struggling to accept something or someone, then you’re judging it or them in some way. Therefore, the first step in acceptance is to witness your judgment without more judgment. Open your journal or grab a sheet of paper. At the top of the page, write whatever or whomever it is that you’re having trouble accepting. Next, write a list of all the aspects of this person or situation that you like. Don’t leave anything out, even if it seems insignificant. Focus on the lessons you’ve learned from the situation or relationship. Concentrate on your growth and learning as a result of an otherwise negative situation. Focus on how this person or situation has given you an opportunity to practice acceptance. In the case of a person, choose to see them with compassion, accepting that a happy person wouldn’t treat someone so poorly. Redirect your focus to acceptance by becoming willing to reach for simple, better-feeling thoughts. Slowly reach for ways to accept and witness your energy shift along the way. As you write the list, proactively direct your focus onto what you appreciate about the situation or person, even if you can only come up with one thing. As you read through your list, check in with how you feel as you direct your focus from the negative to the appreciation for positive. See if you feel more accepting now that you’ve shifted away from what you wish you could change and onto what is good — or what lessons you’ve learned. 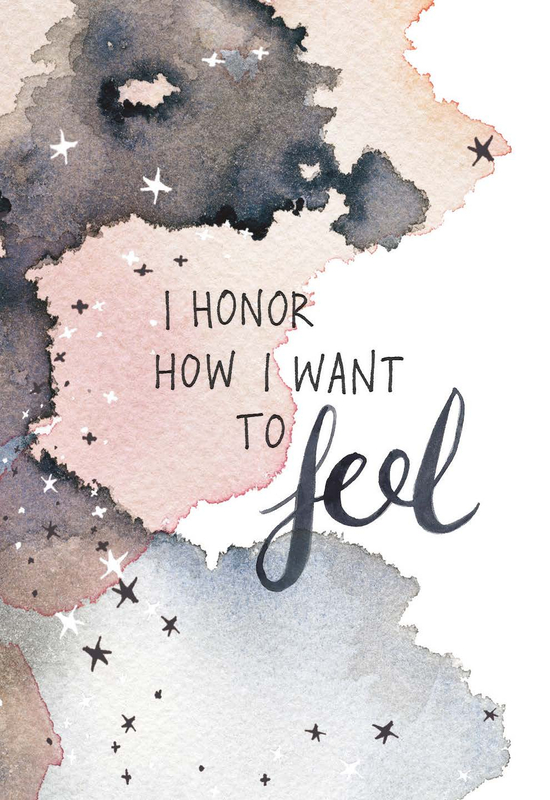 Take notes in your journal about how you feel. Maybe you feel relief in letting go of frustration, maybe you’re more relaxed and optimistic, or maybe you have newfound compassion for a person you’ve struggled to accept. Even with subtle shifts you can get closer to acceptance. The more you shift your focus onto acceptance, the more relief you will feel. Be proud of your willingness and commit to feeling good. My free Judgment Detox Mini Course (details below) will help you feel even better! Click here to get your free Judgment Detox Mini Course! When you practice acceptance, you begin to release resistance and reconnect to love. In the absence of resistance you become like a magnet for more greatness. This is your attracting power. When you feel good and align with love, your energy sends out a signal to the Universe. It vibrates the clear message that you’re aligned with joy and you welcome more if it. When you accept this state of being, the Universe can work on your behalf. Make feeling good your priority, stay patient, trust that you’re being guided, and expect miracles. I desperately needed this message today. I am struggling to accept a person and associated situation in my life that creates a lot of fear and anxiety. Sometimes the resentment I feel is overwhelming. It is a considerable conscious effort for me to try to focus on the positive, view this person and situation with compassion, and to release the judgement. Harboring those negative emotions is toxic to my soul, but sometimes I get distracted by other things and forget to consciously work to choose my own happiness. Thank you for the beautiful and timely reminder. Your messages always come at a perfect time for me. I’ve been struggling with an impending divorce for 3 years now. I just can’t seem to fully let go. 🙁 During the 3 years I’ve grown so much spiritually and am so grateful for my new acquaintances that cane into my life. My hope is whatever I decide to divorce or work on my marriage, I remain true to my new spiritual practice and making feeling good my #1 priority for myself and others. Thank you, you are truly a beautiful gift in my life! Thank you for this Gabby! I am currently reading Judgement detox, and this article pushed me to be more committed to the practice. It’s so easy to fall out of kilter, but as you say, it’s about how quickly one comes back! You are a blessing, Sat Nam. YES Brooks! Happy that these tools are serving you! Showing up here and sharing bravely is a sign that you are ready and open for some major changes. If you are unclear of what you’re being guided towards, return to a prayer and meditation practice to help you get grounded. Big shifts are possible when we truly believe. I agree. And I am starting by creating a relationship with ‘money’. I realise that I have to accept money and think of it in a respectful way, as a friend not as an enemy that is trying to destroy me. Money will look after me if I ‘love it’. The strange this is, I know I have abundance. I no longer have any need to buy anything other than essentials – in fact I just traded my old TV, which weighed 130lbs(!) for a new small flat screen, and it’s such a thrill to have this in my living room! So I no longer have a ‘hole’ to fill inside me that I used to try and fill with material things. But as you kindly read on my comments, Gabby, I do fall off the spiritual trust wagon sometimes into despair and fear – I will try and stay on course and look to you, and Marie Forleo, for guidance – and then just pray. But it’s so frustrating sometimes when answers don’t appear to be forthcoming. But I really do try and trust. I’m really having trouble accepting a lot of mistakes I made and feelings I have…. Time to put the pen to paper and write it out, let it go and breathe. Wish I could understand the Judgement Detox mini course but it’s not captioning. Hi Beth! If the captions aren’t showing up, please make sure you’re using Chrome as your browser. If you’re still having issues, please reach out to my amazing team at support@gabbybernstein.com and they can help you find a solution. The video is part of my Judgment Detox workshop, which is available in my Miracle Membership. You can get all the awesome details here: https://gabbybernstein.com/miraclemembership/ Sending big hugs your way! As I am struggling to accept that I have relapsed with a potentially life threatening infectious disease I have fought for 7 years, I read the Surrender Experiment yesterday. I began to look for ways I was resisting the experience and judging it, thereby making it so much more difficult to handle than the experience itself! I just sent off my application to a private hospital overseas and checked my email to find todays lesson from you. Your thoughts both echoed and expanded upon mine, bringing me beyond acceptance to appreciation. I am truly grateful for the divine timing. It is with tears of joy that I lean into the universe providing support from the most unexpected places at just the right time. Thank you for this brave and beautiful share. Sending lots of peace and healing your way. Thanks Gabby! During my morning meditation (of your recordings) my intention was to release judgement – it’s been a challenging day in entrepreneur life – focusing on my gratitude and positivity and choosing and starting again. Thanks for your work! Thank you so much for being a light on this dark path. Just as everyone else has said, this came at the perfect time. The statement that hit home the most was “a happy person wouldn’t treat someone so poorly “. The pieces fell into place and I found my love for myself again with those words. Thank you!! Thank you, Gabby. This is beautiful. Acceptance always been a mental overlay for me when it is of things I really don’t want to be true in my life. This is the first time I remember being conscious of a feeling freedom and spaciousness and happiness in my body that comes with acceptance. I *feel* the benefits of acceptance, not just the “it is supposed to be good for me” truth of it. Now it will be easier to get to acceptance in the future. Now on to self-forgiveness and compassion! Return to meditation to help with grounding and clarity. And please be patient with your process. Sending big hugs!